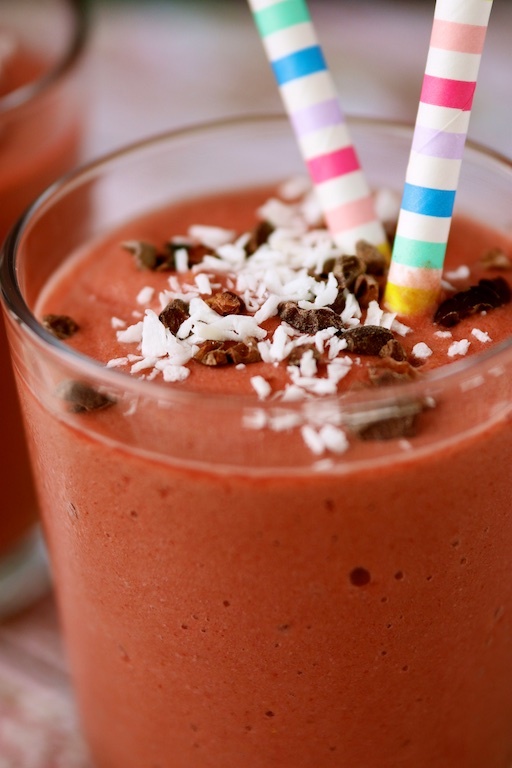 This Vegan Raspberry Cream Smoothie includes frozen squash chunks to add thickness and fiber. 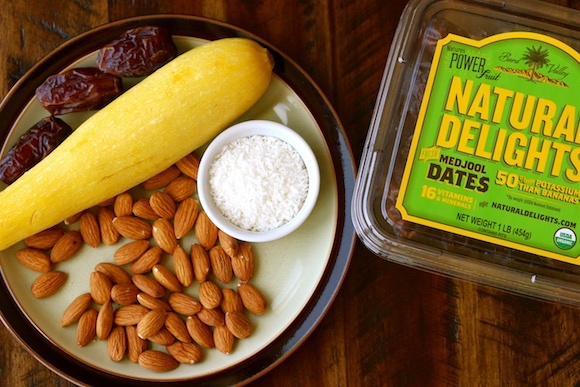 This delicious recipe is also unique because it’s banana-free and sweetened with dates. Maybe you’re allergic or intolerant to bananas, or you’re just looking to make a smoothie without them. 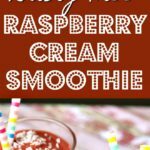 If so, then this Raspberry Cream Smoothie recipe is for you! Here’s the thing, though. You’ll need to make sure you’re using something else to add that creamy thickness that a frozen banana provides. In other words, you don’t want a watery smoothie. This recipe is really thick and creamy with a delicious texture coming from frozen yellow squash (or zucchini) chunks. The squash is virtually tasteless, so nobody will ever know they’re getting their veggies while drinking this delicious smoothie. Frozen raspberries are also an amazing ingredient, because they are so healthy and vibrant in color. However, you’re going to need something to balance out that tartness. Dates to the rescue! 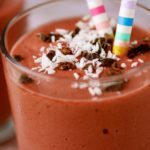 I used four Medjool dates in this recipe, and I find the natural sugars sweeten the smoothie perfectly. 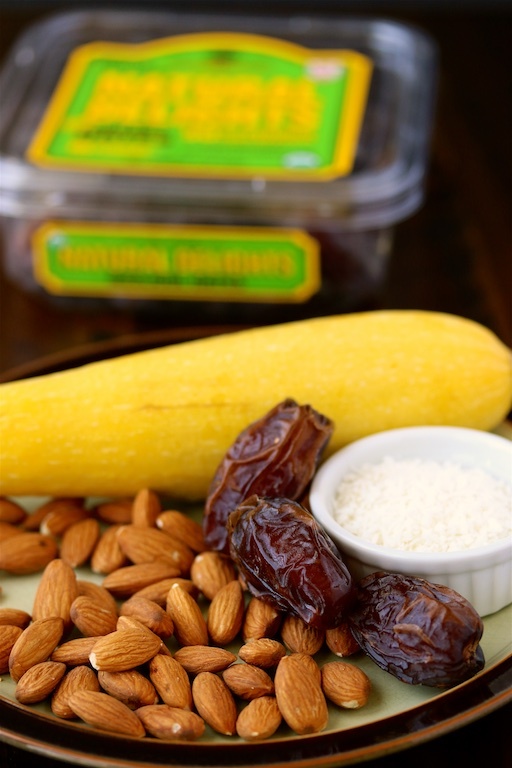 The potassium from the dates is also super nutritious and great for active folks. Isn’t the color perfectly scrumptious? 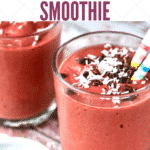 This Vegan Raspberry Cream Smoothie includes a serving of vegetables. 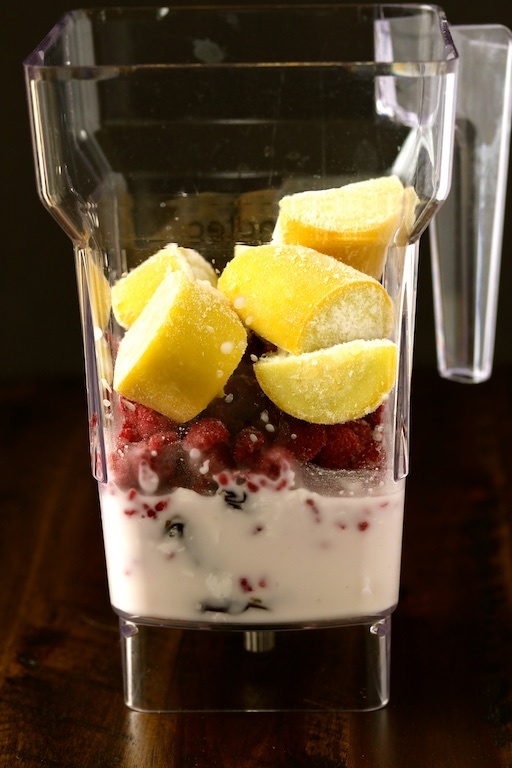 Combine almond milk, dates, frozen raspberries, frozen squash, coconut, and cocoa powder in the base of a high-speed blender. Process on high until smooth and creamy, about 30 seconds. You can use yellow squash or zucchini squash. 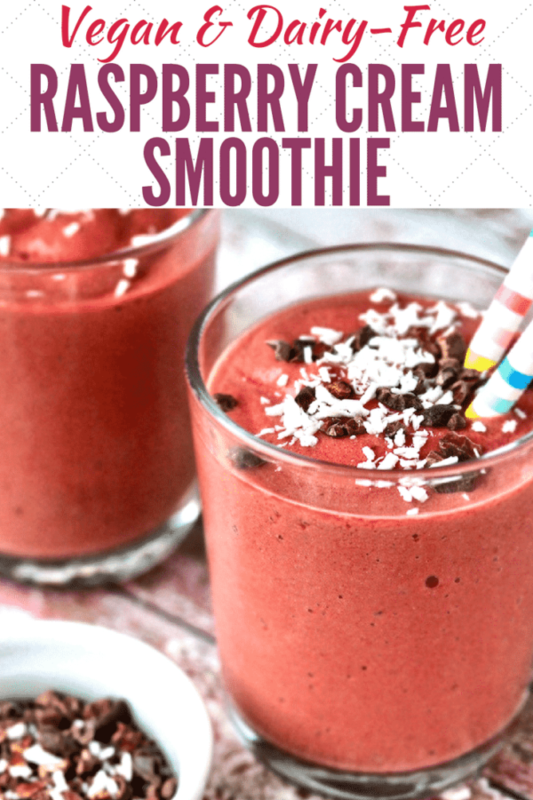 Be sure to pin this Vegan & Banana-Free Raspberry Cream Smoothie recipe to your favorite Pinterest board to save it for later! Love the squash – I do winter squashes in my girls’ smoothies all the time but never thought to try summer squash! Will have to do that! Yummy flavor combo too! 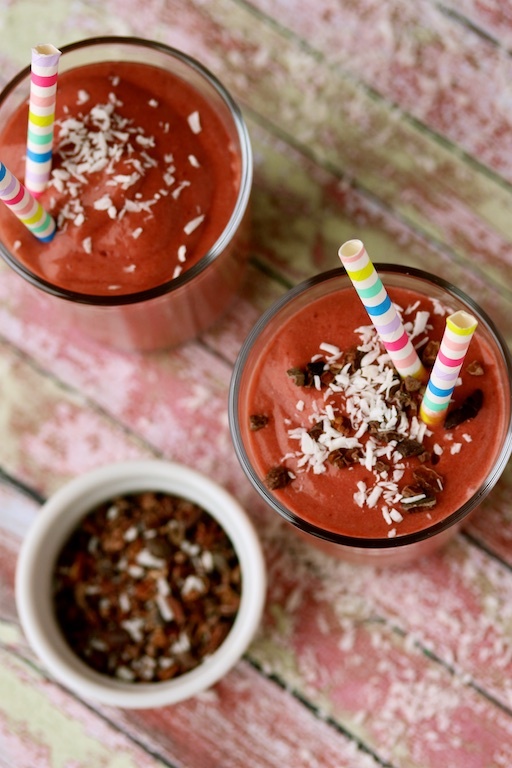 This is definitely the perfect season for this smoothie! Such an amazing idea to add the yellow squash! I’ve added steamed cauliflower to my smoothies before, but I think need to try the squash idea. I’m glad I’m not the only one who adds squash to my smoothies, people think it’s so weird, but it blends right in and you never taste it! I’ve never thought about putting squash into a smoothie before, but I bet it works a treat! Going to give this a try! 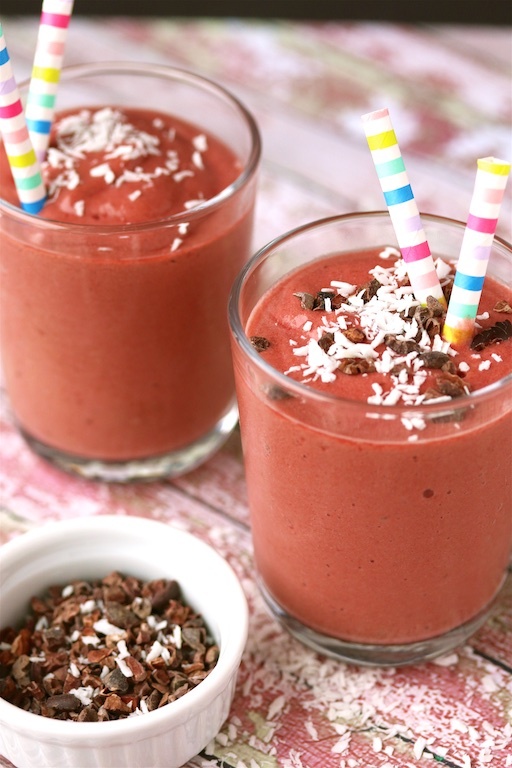 Love smoothie ! Can’t believe this is vegan friendly too. That’s so lovely ! SNEAKY SQUASH IN A SMOOTHIE!??? What a genius idea. I have a friend who can’t have bananas, I’ll be sure to share it with her! Ha ha, thanks Holley!!! Hope your friend loves this recipe. XO. So creative! I could have never thought to add frozen squash! Wow! Looks divine. This sounds delicious! I love how much you were able to jam pack into this smoothie! How amazing that it has a serving of veggies in it!!! It looks delicious. WHOA!! Mind blown!! Totally makes sense to add squash to smoothies since they are high in water content and very mild taste. Thanks for this brilliant idea. Oh, thank you, Anya!!! I’m so happy that I inspired a new smoothie ingredient for ‘ya! Have a great week. XO. Oh, thank you Georgie!!! I so appreciate the share! You inspire me too, your recipes are soooooo gorgeous. XOXO. Astounding idea! Always amazed at what you will do next! Awwww, thanks Darryl!!! I’m equally amazed by your work! Love how you switched things up and sweetened this with dates. I can’t wait to try it! Girl when I saw zucchini in the ingredients I did a double take! That is so clever.